Nearly every industry creates an array of “buzz” words that mean something to those inside the industry but leave outsiders in the dark and often too intimidated to ask questions. 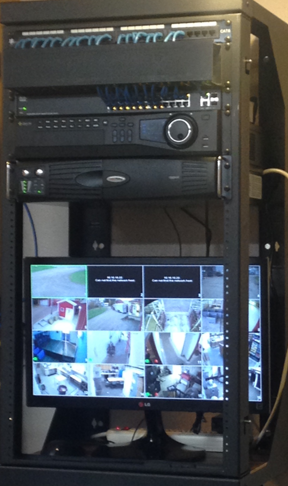 Such is also the case with CCTV – see what we mean… CCTV is “industry speak” for Close Circuit TeleVision. 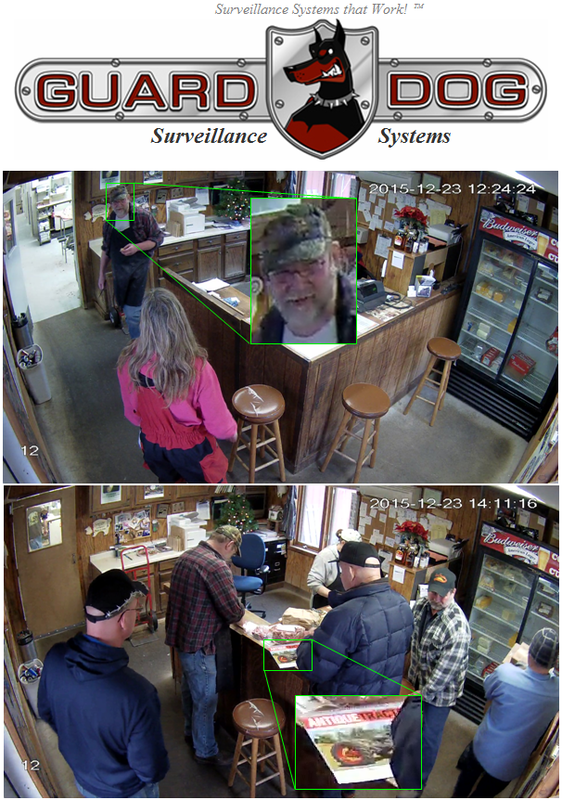 ...this installation employs two (2) separate LAN-Bridge radios to bring mega-pixel IP video to the server in one direction and Internet + a live feed (from the server) to a remote client PC which subsequently powers a 32” monitor that is used operationally to run the entire yard. 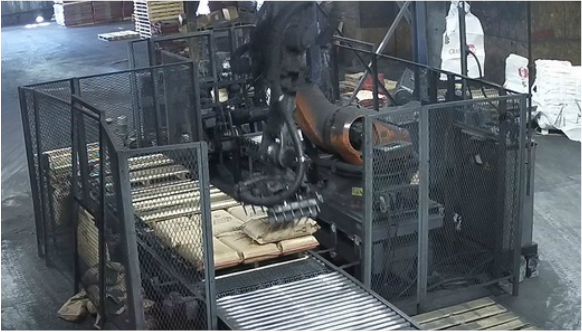 Another customer uses his Operational Video system to monitor the performance of their high-tech palatalizing robot. 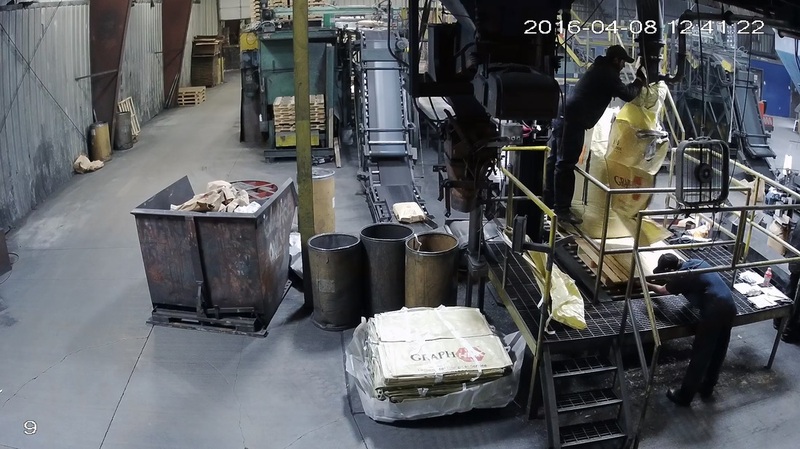 Another customer narrowly averted a six-figure liability claim when the month+ old video clearly demonstrated the person never came in contact with the item in question and that her story was a 100% fabrication. 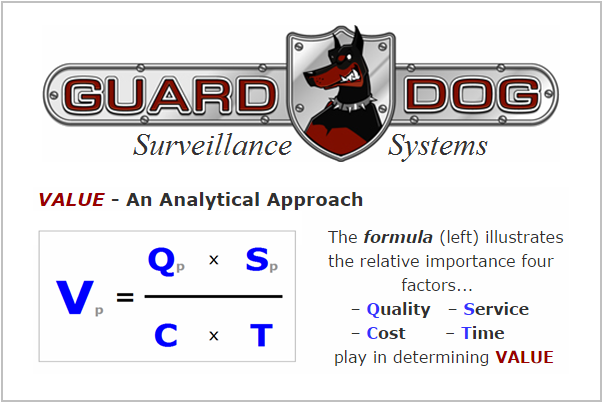 GuardDog is technically experienced and we deliver on our promises. We feel that's a strong combination. A recent client wanted to capture legible license plate data from vehicles entering and exiting their facility. The entrance was ~180 feet from the nearest building structure and (from that distance) a four (4) degree field of view would adequately cover the space. We detailed the entrance to their facility per the diagram shown to the left. 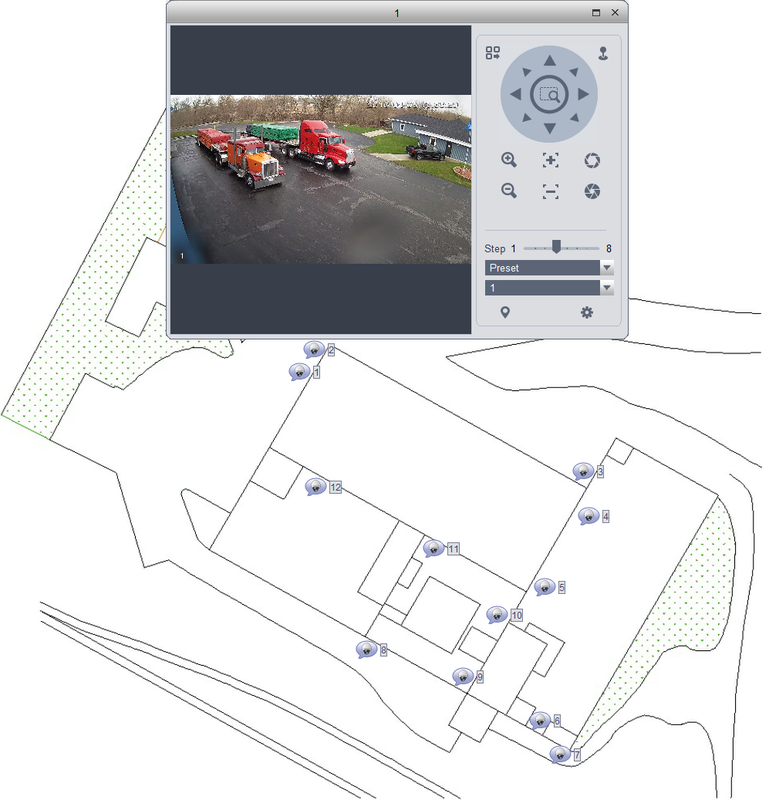 ...and (furthermore from our in-house developed analysis software) a 2.0 MegaPixel image will provide a resolution of between 75 & 93 pixels per foot. 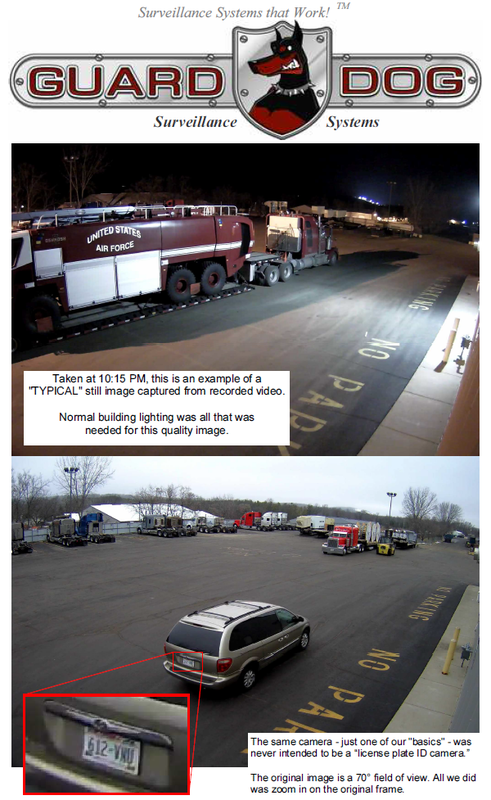 ​From experience, we know that we need ~80 pixels per foot to legibly capture license plate detail a high percentage of the time so we concluded... A 2.0 MP camera, equippedwith a VariFocal lens in the range of 50 mm will provide adequate definition to accurately read license plates on vehicles entering/exiting the facility. 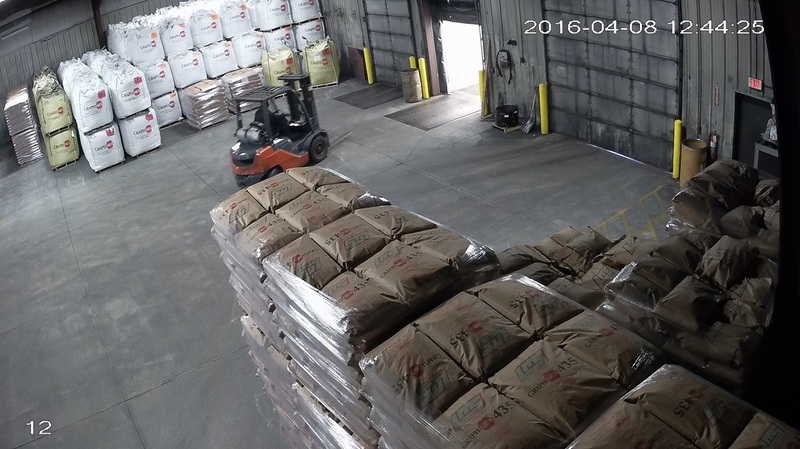 ​Below is an image distilled from recorded video of the installed camera... Gotta love it when a plan comes together! ﻿The camera images below highlight the value of HD video. 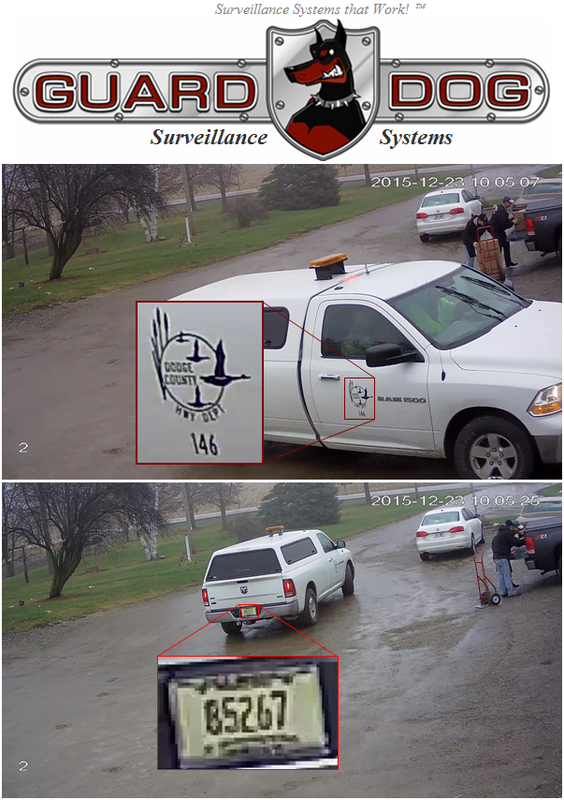 Recording at 3 MP, even in inclement weather specific detail and license plate identification are provided. 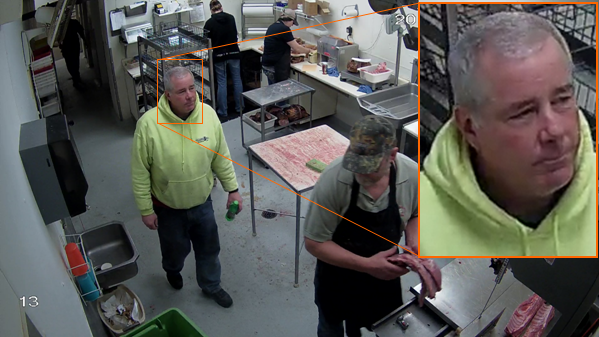 A slaughterhouse and meat processing business uses their 20+ video cameras in security as well as operational functions. 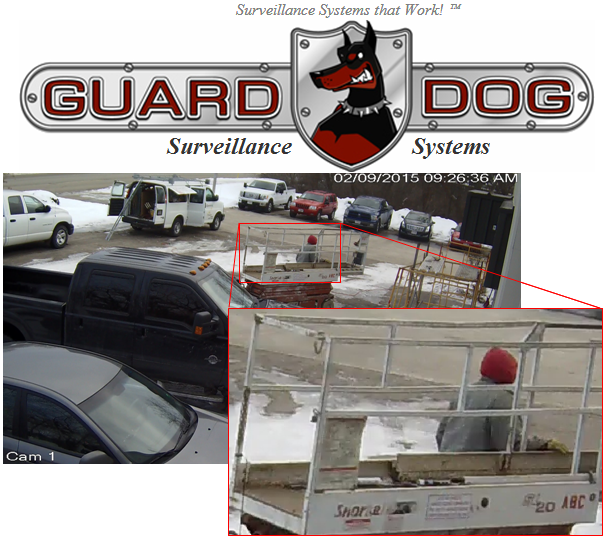 Having recently upgraded from analog cameras to a GuardDog Surveillance IP System, the owners are ecstatic about the improved video quality! 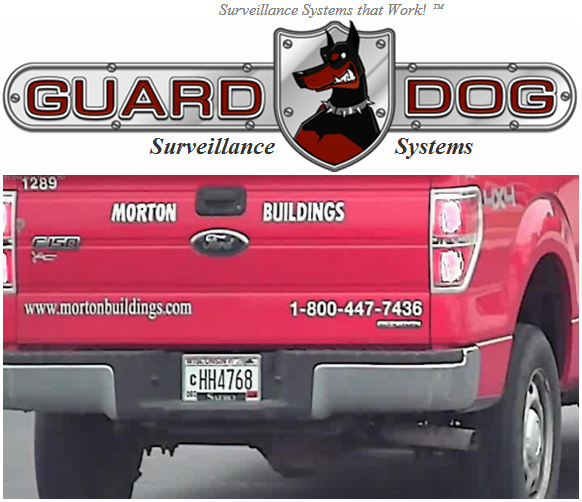 (right) installed at the rural meat cutting operation is a perfect example of GuardDog's "going the extra mile" philosophy. Patch panel terminated wiring is housed (along with the video server and a rack mounted UPS) in a hinged IT cabinet all combining to provide a neat as well as aesthetically pleasing installation. In all our IP systems we separate the video network from the company IT structure so that our high bandwidth demand camera systems do not adversely affect our client's company network. 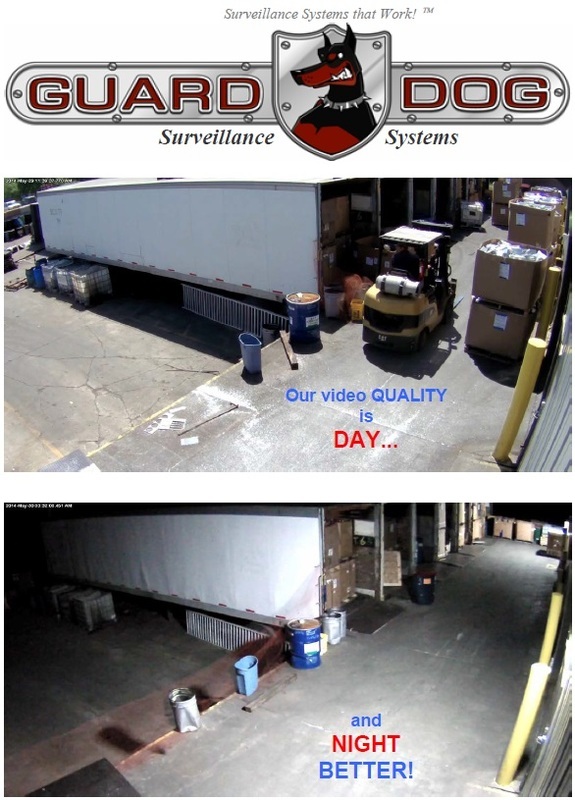 In the simple shop photo above, we highlight the image quality our systems deliver. 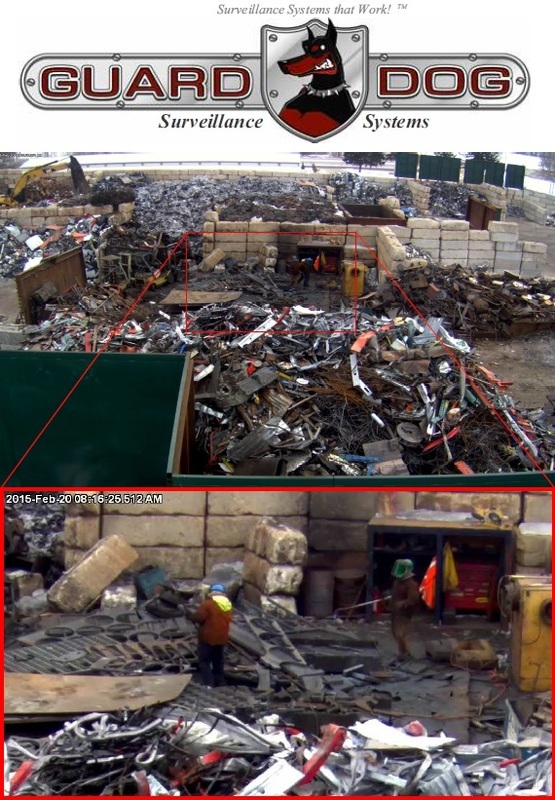 The inset (expanded) image was cropped out of the original picture - NOTE: Rather than image quality being lost (in the expansion) detail that otherwise would not have been noticed is revealed. 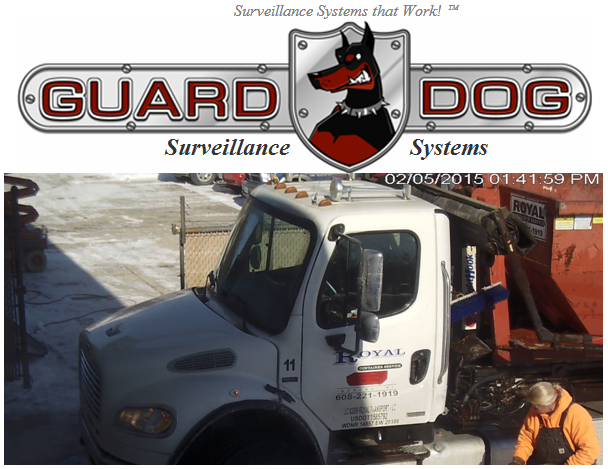 contractors that may be improving your facilities GuardDog Surveillance Systems has a video solution answer. ​While in some of the above shots you’ve seen what our “typical” cameras provide in the way of night vision, the photos below detail our night video capabilities in a rather dramatic way. 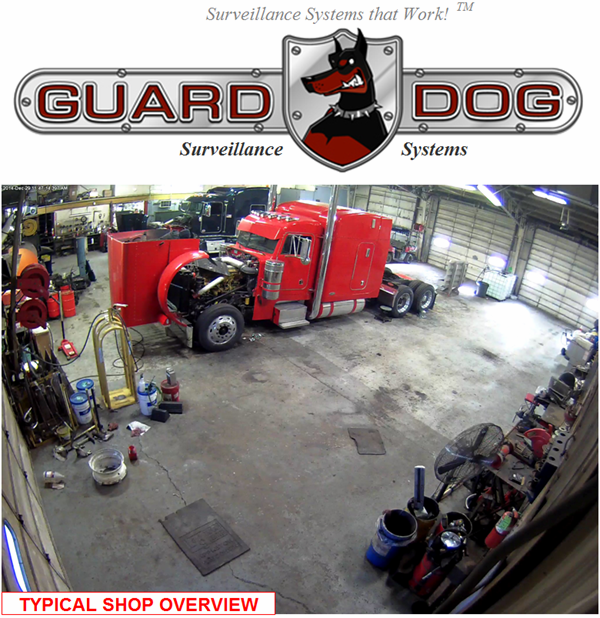 Want to Reach Out To GuardDog NOW?? ?